Wiedner & McAuliffe attorneys have more than 40 years of trial experience and a strong knowledge of the business needs and policies of employers in a wide-range of industries. Our attorneys have handled cases ranging from individual employee discrimination claims to class-action lawsuits in industries such as transportation, construction, distribution, manufacturing, retail, insurance, and food and beverage. While we evaluate each case to determine whether costly litigation can be avoided through dismissal or settlement, we are prepared for and pursue litigation when doing so is in the best interest of our client. • Americans with Disabilities Act of 1990 • Age Discrimination in Employment Act • Equal Pay Act • Family and Medical Leave Act • Occupational Safety and Health Act • Pregnancy Discrimination Act of 1978 • Sections 1981 and 1983 of the Civil Rights Act of 1966 • Title VII of the Civil Rights Act of 1964 • Illinois Workers’ Compensation Act. An additional part of our practice is assisting management in reducing the risk of lawsuits. To that end, we evaluate and draft employee contracts, handbooks, and manuals of employee policies and procedures. Wiedner & McAuliffe also trains clients on various issues in employment law to ensure that they fully understand their rights and responsibilities as employers. 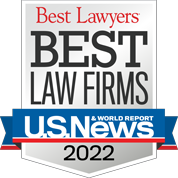 In addition, our attorneys have written articles educating CEOs, HR managers, and peers in the legal industry on no-fault leave policies, return-to-work fitness programs, workplace privacy, workers’ compensation, and similar issues. We also represent clients in audits by the Department of Labor and ensuring compliance with federal employment statutes.